He was born in 1948 in Denizli. He graduated from Denizli high School in 1965 and Ege University, the Faculty of Economics and Administrative Sciences in 1970. Mehmet Ali ABALIOĞLU, Board Vice Chairman of Abalıoğlu Holding A.Ş. began to work in the Ginnery in 1966 while his undergraduate education was going on. Being the Board Chairman of Er-Bakır Elektrolitik Bakır Mamulleri A.Ş., Dentaş Kağıt Sanayi A.Ş., SC Dentaş Romania S.R.L. and CSA Textile Egypt S.A.E., Mehmet Ali ABALIOĞLU is still the Deputy Chairman of the Board in Abalıoğlu Tekstil Sanayi A.Ş. As an industrialist, he has leaded the establishment of the non-governmental organizations which have a significant place in development of social life in Denizli in addition to his contributions to industrial development in Denizli. Mehmet Ali ABALIOĞLU, who is the chairman of Cafer Sadık Abalıoğlu Educational and Cultural Foundation founded in 2000, is also the Chairman of the Founders’ Committee of Doçev (the Nature and Environment Foundation) and among the founders of Denizli Branch of the Education Volunteers Foundation of Turkey (TEGV), and was its founder chairman between the years 2000 and 2001. Mehmet Ali ABALIOĞLU is married with three children and can speak English. İsmet Abalıoğlu got to work in the Ginnery with his father and elder brother in 1966 while his undergraduate education was going on. He completed his secondary education in İzmir Türk Koleji and higher education in İzmir Faculty of Economics and Administrative Sciences. 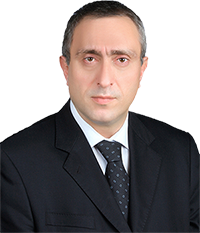 He is currently the Board Chairman of abalıoğlu Tekstil Sanayi A.Ş., Abalıoğlu Holding A.Ş. and the Deputy Board Chairman of Dentaş Kağıt Sanayi A.Ş., CSA Textile Egypt S.A.E. in Egypt, SC Dentaş Romania S.R.L. operating in Romania, and Filidea A.Ş. established in partnership with an Italian company. He is also the Board member of Er-Bakır Elektrolitik Bakır Mamulleri A.Ş. 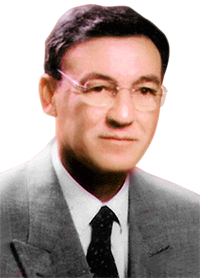 Being the founder member of Cafer Sadık Abalıoğlu Educational and Cultural Foundation, İsmet Abalıoğlu has leaded many environmental studies. He is the founder chairman of DOÇEV (the Nature and Environmental Foundation) founded in 1996 and also the Board Chairman of the said Foundation. Ismet Abalıoğlu is married with two children and can speak English at intermediate level. Ali YAVUZÇEHRE graduated from the Law Faculty of Istanbul University in 1973. He worked as the General Manager of DEPAŞ Denizli Pipe Profile Factory, now called Abalıoğlu Pipe Profile Factory, between 1982 – 1991, and then conducted import operations with the partnership of Aday Metal A.Ş. between 1991 – 1994. He has been the biggest shareholder and Executive Director of Ekpen Tekstil A.Ş. since 1994. He was the President of the Board of Directors at Denizli Chamber of Industry between 1989 – 1992 and the President of Assembly at Denizli Chamber of Industry between 1992 – 1995. Being a lawyer registered with the Denizli Bar Association, Ali YAVUZÇEHRE has been working as the Vice President of the Organized Industry Zone for 6 years and was once a Member of the Denizli Municipality Council. 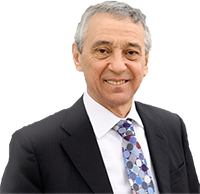 He was a Shareholder and Member of the Board of Directors of Birlik Enerji A.Ş. and is a Shareholder and Auditor of Özkardeş Motor Tic. A.Ş. He is now a Shareholder and Member of the Board of Directors of Dentaş Kâğıt Sanayi A.Ş. Ali YAVUZÇEHRE is married with two children. He completed his bachelor's degree in the Business Administration Department of Dokuz Eylül University. Ahmet Suat KUYUMCU, who once operated the Kuyumcu Hotel, is now a Farmer and has a Jewelry Store. He is now a Shareholder and Member of the Board of Directors of Dentaş Kâğıt Sanayi A.Ş. Ahmet Suat KUYUMCU is married with one child. 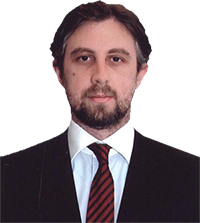 Oğuz Abalıoğlu was born in 1973 in Denizli and graduated from Denizli High School in 1990. Graduating the Boston University School of Business Administration in the USA in May 1996, Oğuz Abalıoğlu graduated from Societa Dante Aligheri in Italy where he had been to learn Italian from October 1996 to June 1997. He was in charge as the export specialist, the export chief and the Foreign Trade Manager respectively in Erbakır Elektrolitik Bakır Mamulleri A.Ş. which is an affiliate of the Abalıoğlu Holding from September 1998 to 2004. He is in charge as the Deputy Chairman of the Executive Board in Abalıoğlu Holding A.Ş. since September 1, 2004. 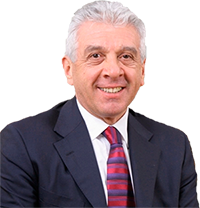 He is the Board Chairman of Açık Kart Teknolojileri ve Ödeme Sistemleri Sanayi ve Ticaret A.Ş., the Deputy Board Chairman of İvme Group Enerji Üretim Sanayi ve Ticaret A.Ş. and Filidea Tekstil Sanayi ve Ticaret A.Ş., and the Board Member of Abalıoğlu Holding A.Ş., Abalıoğlu Tekstil ve Sanayi A.Ş., Dentaş Kağıt Sanayi A.Ş., SC Dentaş Romania SRL, Abalıoğlu Doğal Kaynaklar Sanayi ve Ticaret A.Ş. and Er-Bakır Elektrolitik Bakır Mamulleri A.Ş. Being the chairman of Young Industrialists Association of Denizli from 2005 to 2006, Oğuz Abalıoğlu is also the Board Member of TAİDER and the member of DESİAD and DEGİAD. Oğuz Abalıoğlu is married with one child and can speak English and Italian. Ahmet Abalıoğlu was born in 1974 in Denizli and graduated from the School of Business Administration in Boston, USA after completing his primary and secondary education in Denizli.He was in charge in Dentaş ambalaj ve Kağıt Sanayi A.Ş. which is one of the affiliates of the Abalıoğlu Holding from 1998 to 2001. He began working as export specialist in Abalıoğlu Tekstil Sanayi A.Ş., one of the group companies, in 2001 and took charge as Director General and Deputy Chairman of the Group. He is currently in charge as the Director General of Abalıoğlu Tekstil Sanayi A.Ş., Filidea Tekstil ve Sanayi Ticaret A.Ş. and CSA Textile Egypt S.A.E. He is also the Board Member of Abalıoğlu Holding A.Ş., Dentaş Kâğıt Sanayi A.Ş., CSA Textile Egypt S.A.E and Abalıoğlu Doğal Kaynaklar Sanayi ve Ticaret A.Ş. Being a member to “DEGİAD” Associations, Ahmet Abalıoğlu is married and can speak English and French. 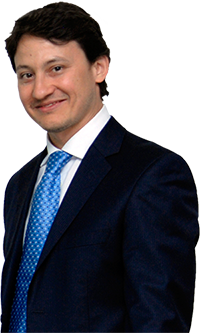 He was born in Denizli in 1978 and graduated from Denizli Anatolian High School in 1996 and Boğaziçi University Department of Business Administration in 2000. He did master’s degree in “Corporate Finance” in the Bentley College in Boston, USA in 2003 after his undergraduate. He took charge as Marketing Specialist in Er-Bakır Elektrolitik Bakır Mamulleri A.Ş. from 2000 to 2001, Financial Affairs Assistant in Abalıoğlu Tekstil Sanayi A.Ş. in 2001, Financial Affairs Assistant Coordinator in Abalıoğlu Holding A.Ş. 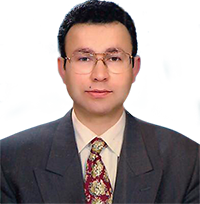 from 2002 to 2003 and Corporate finance Specialist in Koç Yatırım Menkul Değerler A.Ş. from 2004 to 2006. He was in charge as the Deputy General Director in Dentaş Kağıt Sanayi A.Ş. from 2006 to 2009.
e has been working as financial Affairs Director in Abalıoğlu Holding A.Ş. since August 10, 2009. He is also the Board Member of Abalıoğlu Holding A.Ş., Abalıoğlu Tekstil Sanayi A.Ş., Dentaş Kağıt Sanayi A.Ş., Filidea Tekstil Sanayi ve Ticaret A.Ş., CSA Textile Egypt S.A.E, İvme Grup Enerji Üretim Sanayi ve Ticaret A.Ş., Abalıoğlu Doğal Kaynaklar Sanayi ve Ticaret A.Ş., Açık Kart Teknolojileri ve Ödeme Sistemleri Sanayi ve Ticaret A.Ş., SC Dentaş Romania SRL and Er-Bakır Elektrolitik Bakır Mamulleri A.Ş. Cafer Sadık ABALIOĞLU is married with 2 children and can speak English fluently. Born on 7th November 1963 in Trabzon. He completed his bachelor's degree in the Business Administration Department of Middle East Technical University in 1989. 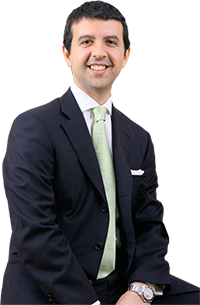 In 1990, Ahmet Ferruh ERGÜNEY began his career as the Fund Manager at BELKO Ltd. Şti., a company of Ankara Metropolitan Municipality and aiso participated in international projects. After living in the United States for a time, he became the General Manager of Efor Dış Ticaret Ltd. Şti. between 1994 – 1998, the Finance Director at Raks Holding A.Ş. between 1998 – 1999 and the Strategy Group President and Member of the Board of Directors at Tek-Art Holding A.Ş. between 1999 – 2001. Ahmet Ferruh ERGÜNEY, who joined Abalıoğlu Holding A.Ş. as the Financial Affairs Director in 2001, has been the General Manager of Dentaş Kağıt Sanayi A.Ş. and SC Dentaş Romania SRL since 2004. Ahmet Ferruh ERGÜNEY is fluent in English and has two children.